Cut 1 inch deep criss-crosses into the flat side of the ham. In a small bowl, mix together the butter and honey. Slather onto the ham, making sure to get in the crevices too. Insert cloves into the ham if desired. Place in a roasting pan. Bake for 4 hours in the preheated oven, or 20 minutes per pound. The internal temperature should reach 160 degrees F (70 degrees C). Baste every 20 minutes with the drippings. Remove, slice, serve, savor. 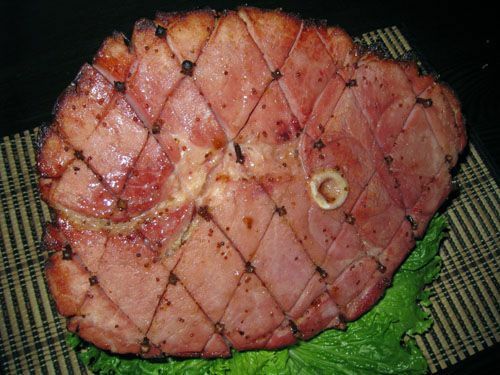 No comments for: "Honey Butter Yule Ham Recipe"